Welcome to the School in Morocco’s pre-immersion digital language-learning website. Within this learning space, students preparing for language immersion in Morocco can spend time learning Moroccan Arabic — also called Darija — so as to ready themselves for their immersive cultural and linguistic experience while living and studying in Morocco. 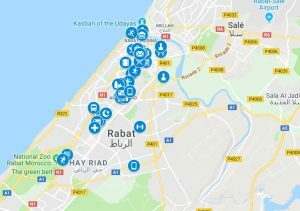 Additionally, you will find information about traveling to and living in Rabat, including maps, activities and events, a visual gallery, and more. This learning space, while designed for students preparing for participation in our study abroad program in Rabat, is a helpful resource for all students of Arabic who are preparing to travel to Morocco or who would like to learn Darija. Welcome, all!